They are an excellent choice for home and school decor and for the first-hand witness to how ecosystems work. Best of all, they require little work. A few sprays of water each week will do. Small jar from craft store or recycle any glass jar with cover. 1.) Small layer of gravel on the bottom of jar. 2.) Small layer of activated charcoal. 3.) Layer of potting soil. 4.) Plant moss shallowly on top of soil. Place on a sunny windowsill. 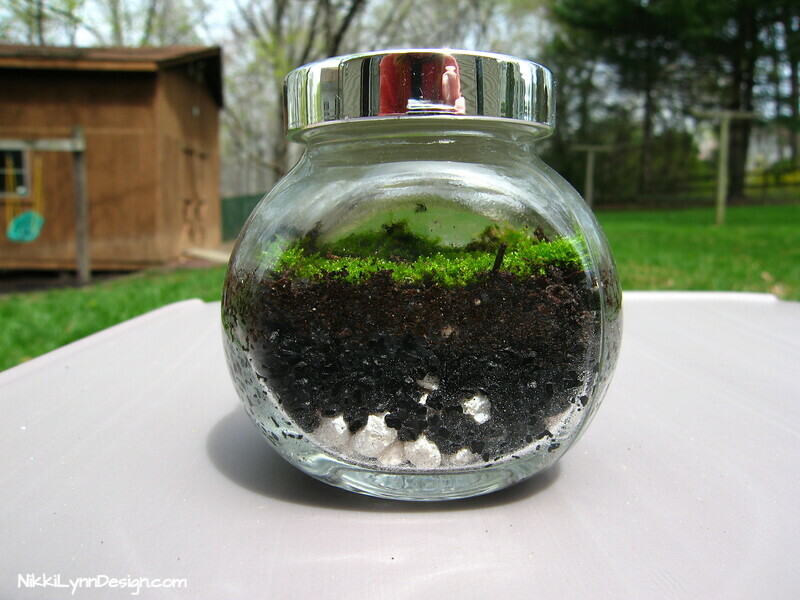 A few sprays of water will keep your moss terrarium healthy.